Buddleja ‘Winter Sun’ bears clusters of salmon pink flowers flushed with yellow and an orange eye. 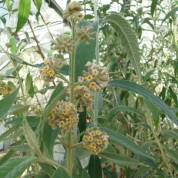 Due to its parentage, this cultivar is not hardy and is best grown in a large pot and moved under glass for the winter. 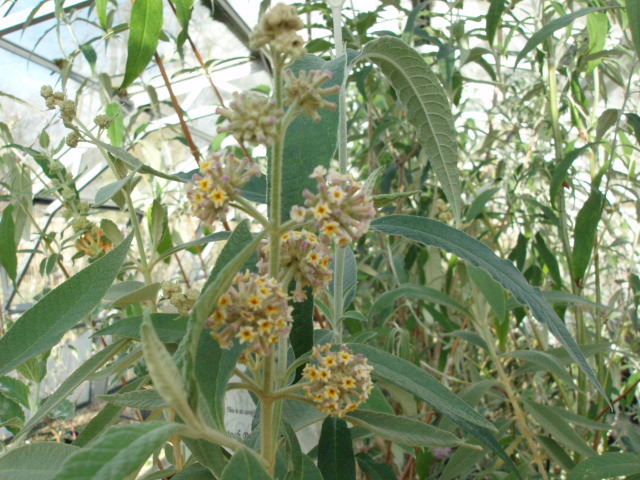 A cross made by Steve Nevard between B.nappii and B. officinalis.